The last remaining Scottish populations of the rare red-billed chough are being affected by a genetic mutation causing lethal blindness, a new study from the University of Aberdeen and the Scottish Chough Study Group and funded by NERC and Scottish Natural Heritage has shown. 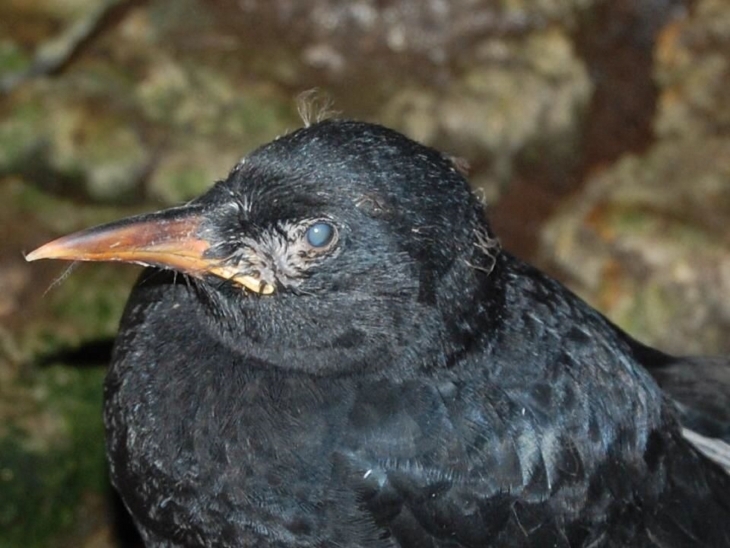 Blindness was first observed in a chough chick in 1998 and small numbers of blind chicks have occurred in most years subsequently. Blind chicks can survive in the nest while being fed by their parents, but once they leave the nest they die very quickly. A similar condition occurs in humans and is caused by a genetic mutation and now this new research, which is published today in the Journal of Animal Ecology suggests that the blindness in the Scottish chough population is also caused by a genetic mutation. 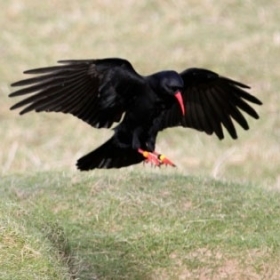 Furthermore, the research shows that non-blind individuals that carry the mutant gene are likely to be widely-distributed within the Scottish chough population and therefore eradicating the mutation is likely to be difficult. Amanda Trask, a PHD student at the University of Aberdeen who undertook the study said: “Our research shows that the blindness mutation is likely to persist in the population into the future despite being lethal in blind individuals. This is because non-blind individuals that carry the mutant gene produce large numbers of chicks per year, causing the mutation to be passed into the next generation. “Choughs are now very rare in the UK and there are just two populations remaining in Scotland, on the Islands of Islay and Colonsay. The Scottish Chough Study Group has been studying these populations since 1981 to determine the causes of the population decline and work out strategies to reverse it.